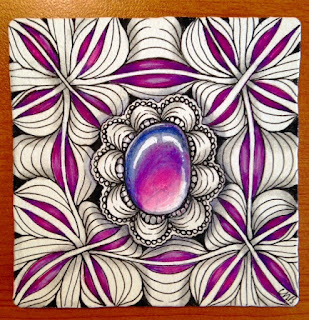 The Diva's Weekly Challenge #248: "Give the Gift of Zentangle"
When I first started tangling I often called tiles little gems and now thanks to a fantastic FaceBook group hosted by Eni Oken I have learnt to make gemstones. This week we heard the sad news that our lovely friend Sharon Lynne Payne (CZT7) suffered a nasty stroke. 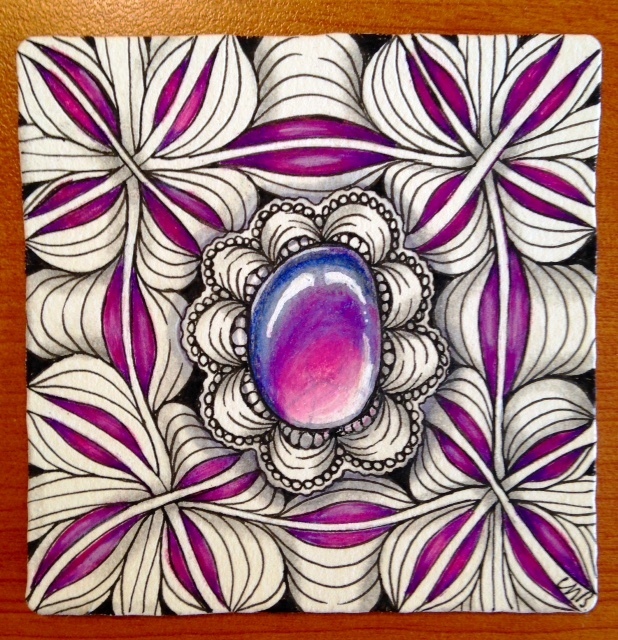 This amethyst gemstone tile is my gift of Zentangle to Sharon. It has been mailed with hugs and love for her quick recovery. 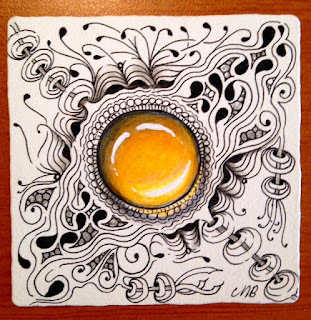 Reminds me of an egg yolk. Oh my! Sorry to hear about your friend. I must go and learn to make theses luminous gems as well! Your work is always so lovely, thank you for sharing it. I am also sorry to hear about your friend. Your gems are just so wonderful - it's as if they are shining with light coming from behind them. Beautiful work as always Michele. Thank you for sharing and inspiring. 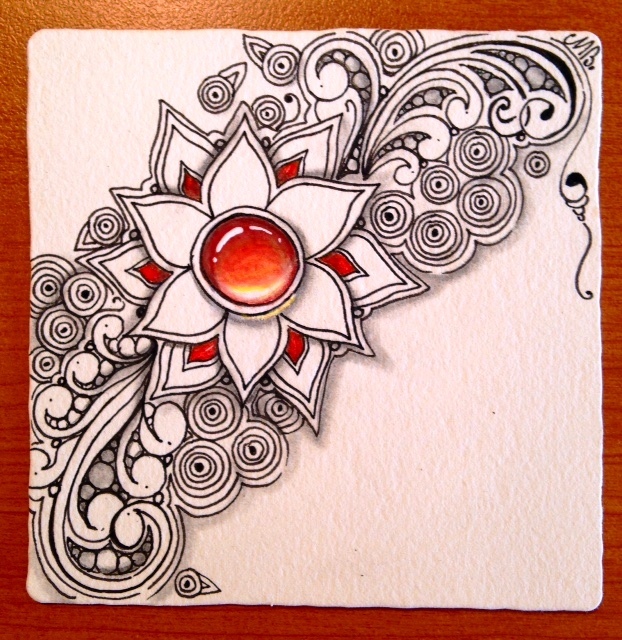 I hope Zentangle is a 'happy place' for your friend to 'visit' during her recovery. Your gems are just that. As always your art is very inspiring......I will not let zengems defeat me! Have so loved your style, Shelly! 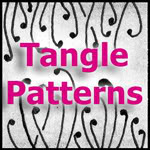 I haven't quite found mine yet but you are one of the inspirational tanglers that I learn from! Your gems are absolutely gorgeous! Your art is so inspiring. Lovely pieces! I especially like the variety of gems and the use of Mooka on the middle piece. Radiant! I pray your friend Sharon recovers fully and quickly so she can get back to tangling again. WOW I am SO impressed with your gem stones - can't believe how realistic they look. Love the 3 colours together especially. Like you, a friend of mine (67) suffered a very nasty stroke some weeks ago and you can not really understand yourself how it must be to become totally depending on others from being a strong, sportive woman all your life. Your card for Sharon is beautiful and so are the others. I do have a favorite and that's the last one. Happy Christmas and Blessed Be! Your tangled gems are beautiful. 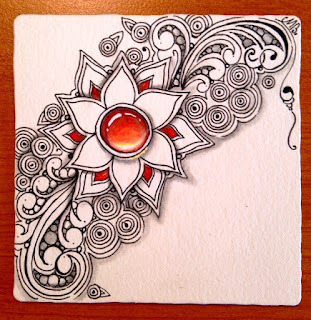 I hope that all the love that is reaching Sharon from around the Zentangle world will help with a speedy recovery. Merry Christmas to you and your family! Oh these are beautiful and so inspiring. Brilliant gems, Shelly. And it is a gem of an idea to gift these lovely gems to lucky tanglers. But I am really touched by your thoughts and gesture for Sharon. May I join you in wishing Sharon a speedy recovery. All of your tiles are priceless "gems!" I think these are absolutely wonderful! Thank you for sharing them with us! Gorgeous work! I am still working on making my gems lifelike. 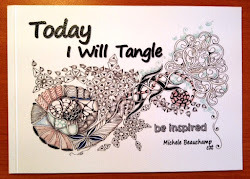 I always enjoy your tangles, and these are beautiful. Thank you for showing us! Dear Shelly ~ What a beautiful sentiment to share with Sharon. I send her thoughts of a full recovery. And your work is gorgeous. These gems are just lovely and pinned to my Pinterest board. I absolutely love the garnet tile! These are all beautiful and your gift to Sharon is very thoughtful. Thank you for sharing your "gems". You certainly are one, yourself! 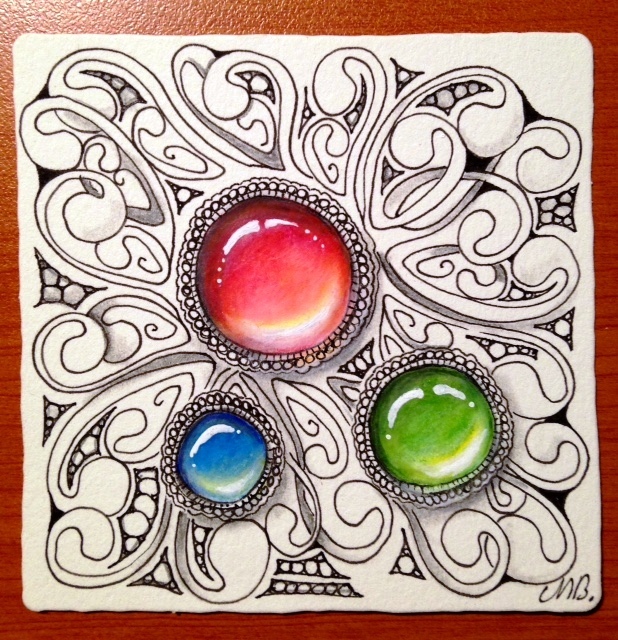 I love that you used to call your Zentangle tiles 'little gems', you're right; they are. Each and everyone of them. 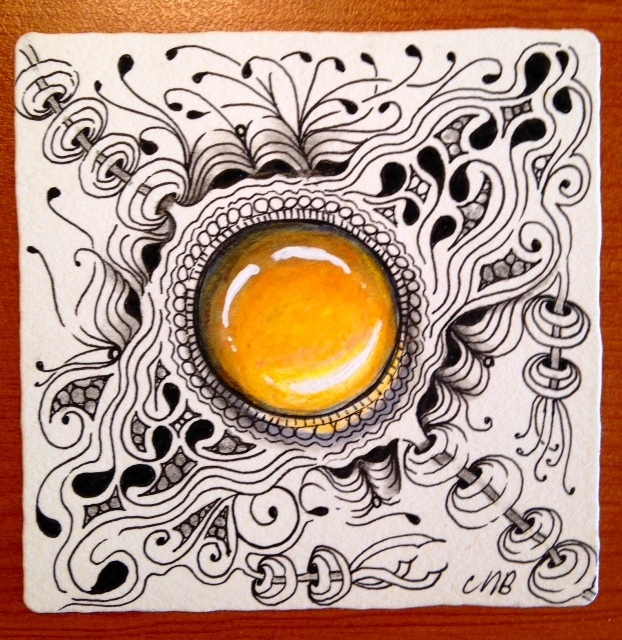 I consider all zentangle drawing little gems. And I also love these new zengems. They're so much fun! Yours are gorgeous! I am always amazed at the beauty of your work, and these little gems are no exception. They are really marvelous! Thanks to the wonders of the internet, your gorgeous pieces become a gift to us all, not just your lucky friend. Thank you! Wow Shelly that amethyst is Beautiful! The rest are all awesome too. I haven't had a chance to try the gems yet... Maybe during winter break. My best wishes go out to Sharon Payne. i hope she feels all the good thoughts everyone is sending her way. Your gift to her is beautiful and I'm sure she will gain some inspiration just looking at it. I love your jewels. The middle one is my favorite. I have tried doing it, and let's just say it's not pretty. I'll just keep practicing. My best to you and your family this holiday season. I always enjoy your work. Shelly, as always you are my favourite 'go to'tangler. I love your 'gems'. I've also purchased Eni Oken's ebook. Fantastic and very helpful!! Absolutely beautiful gems. I can't even pick a favorite. I love them all. Tres belle! Healing thoughts to your friend. Blessings. Your friend Sharon is in my heart and thoughts, and healing energy is sent her way. Your amethyst tile is so full of light and life. It will give her a sense of peace and love. As always, your work amazes and inspires me. Seeing your fabulous gemstones has given me the courage to give them a try. I will be investigating Eni's website/e-books. Thank you so much for sharing. Holiday Wishes to you and your family. All of your tiles are beautiful, Shelly! I wish to Sharon a speedy recovery. Your gem will surely brighten your friend Sharon's day. You did a beautiful job on all of them. Shelly, these are beautiful, but then your tiles always are. I am working up my courage to try to draw a gem. Maybe this weekend! I love all your work but these gemstones are particularly gorgeous,, Thanks for sharing! Absolutely gorgeous all of them! How nice that you sent something so special to Sharron. She certainly has had a rough couple of years and this will be sure to put a smile in her heart. I love all of your gems. Garnet reminds me of a poinsettia! Wow! Speedy recovery to your friend Sharon. Thank you for sharing your inspirational art with best wishes and seasons greetings. Fabulous as always, Shelley! I just love your work and thank you for sharing. Plus, Merry Christmas!!!. One word says it all Shelley - Brilliant! Sharon's work is so vibrant and colorful, and I think you have captured that beautifully in this thoughtful gift for her. Thank you for inspiring me with your beautiful organic art. Happy Christmas, and blessings in the new year! These are simply amazing, and what a beautiful gift to give your friend who is so unwell. Your art is so inspiring, and as a beginner, I know it will continue to be a constant guide for me as I attempt to teach myself how to do Zentangle. I hope to be able to afford a kit in the New Year, and then watch out world! I can't draw to save myself, but I've been told that doesn't matter with Zentangle, so I'm about to find out if that is true. Thanks for all your helpful advice, and I look forward to visiting your site often to see what you have to share with us all. Wow. I can`t find the right words for this absolute beautiful tiles! The gemstones are so perfect, the glow literally. Very beautiful tiles! I am new to tangling, and I haven't tried colors yet, but I am going to have to try the gemmy gems. They are so pretty! Absolutely gorgeous work! I hope your friend gets well soon! I'm so sorry for your friend Sharon. Strokes are horrible, and out of the blue. Your tangles are just lovely. Very eye-catching. Gorgeous work!!! I wish you a very Merry Christmas! These are all gorgeous. Your work always blows me away. 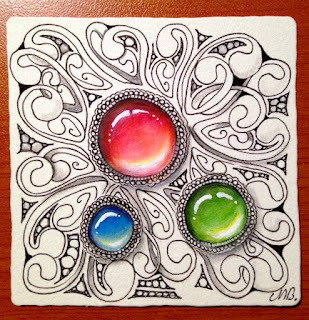 Your tiles are beautiful - love all the gems!